My Sunday guest blogs have turned out to be a success! I want to take this opportunity to thank the writers and bloggers who were kind enough to share their personal stories and struggles with mental illness, mental illness stigma, or narcissistic abuse on this blog. These personal stories turned out to be among some of my most popular posts, and hopefully these bloggers also saw a boost in their hits due to posting for this blog. Unfortunately, it seems that I’ve reached the end of my list, and I’ve had a few drop-outs too. 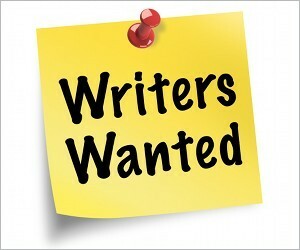 So I’m once again looking for people who are interested in writing a guest post for this blog. YOU DO NOT NEED TO HAVE A BLOG TO WRITE A GUEST POST, and this invitation is extended to my lurkers as well as those who regularly comment. — Inspirational stories about how you have coped with or even benefited from your experience. I’m also interested in blogs by people with Aspergers or autism spectrum disorders, and anxiety disorders such as OCD, Panic Disorder, or Social Anxiety; and Seasonal Affective Disorder (SAD). Since there were no posts about substance abuse/alcoholism from my last batch of guest bloggers, I’d be interested in those as well. The rules are few. I don’t have a minimum or maximum word count, and you are free to submit your own graphic or photo if you wish. If not, I will find one for your post. I only ask that the writing be clear and the post is honest. Profanity is okay but should be kept to a minimum. The only other rule I have is that if you have a blog and write a guest post, that you reblog your post on your own blog (NOT re-publish it, just reblog it from here). If you have already written a guest post for this blog, please give others who haven’t a chance. Again, you do not need to have a blog yourself to write a post for this one. However, if you don’t blog, you will need to provide your email or link to your social media account so I can contact you. If you’re interested please leave a comment (with a link to your blog, if applicable), so I can compile a list from these. When your article is posted, I’ll share it to my social media so it gets as much visibility as possible. I’ll reply to you in the comments, so keep checking back after you have posted. If you want to go ahead and send posts to me now, my email is under “Contact Me” in the header. This entry was posted in guest bloggers, guest posts, mental illness and tagged announcements, guest blogger invitation, guest bloggers, mental health blogs, mental health writers, mental illness writers by luckyotter. Bookmark the permalink. I would love to be able to write about my PTSD but I am not ready to. I do look forward to your post (and your future guests)! Summer, whenever you’re ready to write anything, let me know. There’s no deadline. I’m always taking offers. I was the codependent of a very messed up guy, a brilliant polyglott, a narcissist, a junkie, an alcholic, a wonderful friend, a fearsome enemy, he killed himself two years ago. I still miss him. I am so sorry to hear that. 😦 I know from experience, as someone who has been codependent in the past, how attached to our narcissists we can get, and yes, they can sometimes be a blessing and a great friend, as weird as that sounds. The problem is they can’t be trusted and you can never predict when they’re turn on you like a viper and strike. But there were times when my N ex was the sweetest, most generous man in the whole world, and I felt like I couldn’t live without him. Of course, that’s what they want from you. It’s still devastating to hear someone you were that close to killed themselves. Would you like to write a post about it? It’s a good topic and so far no one else has offered to write anything. Good luck in finding some new guest bloggers. I really enjoyed being a part of the last round and reading the other posts. most of my posts are about living with complex PTSD. Im most interested in starting and keeping the conversation going in terms of living with this illness. Is that what you are looking for? Yes, that would be perfect! So you are offering to write a guest post about complex PTSD? Wonderful, will send email this evening. Just sent the email to you. I’m interested in contributing a little something, Lucky Otter. I’ve got 90+ drafts saved on various topics, just waiting to be written about! Yes, please! 🙂 Send me an email about what you want to write about. Hi Luck otter, I have an experience with mental illness I can share with your audience. I can write it up this week. How should I get this to you? Do you have an email address? Or contacts page? I have depression which began with a psychotic episode, resulting in severe fatigue from the depression. I also am affected by SAD, especially now since I’ve had depression. Let me know thanks. That’s all you can do. Living with someone with a severe mental illness, especially someone you love and care about, can be very difficult. It’s hard to understand someone who is mentally ill sometimes, since you can’t be inside their disordered minds. Did you want to write a guest post about it? Let me know. How long should it be? Is it my discretion? I can try to write one. I don’t know all the specifics. As in all the rehabs, mental hospitals she was in. Don’t know the timeline of it as good as her mother. I do have my feelings regarding her terrible illness. The illness which caused her to commit suicide. I wrote a little bit and just sent it. I have PTSD (not sure if it is complex or not). I also have anxiety problems alot. I also have OCD. I will try & work on something & let u know when it’s done. Thank you! Email it to me when you’re done, or with any questions. Thank you. Great networking opportunity along with helping raise awareness for mental health, which we really need to join forces and make our voices heard not silenced. I was happy and excited when I read this post. The first thing I did was share it on my blog. I would love to do an interview or guest post for your blog. I have struggled with multiple health issues and mental health issues (anxiety, bipolar, depression, ADD, sleeping disorders, and manic episodes). I want to do what I can to raise awareness for mental health in any way I possibly can. Please feel free to email me at jenmotivates12@gmail.com. I will definitely email you with more info and would love to have you write a post! Email me at otterlover58@gmail.com, you can send it now or later. I will email you soon and let you know when I do.